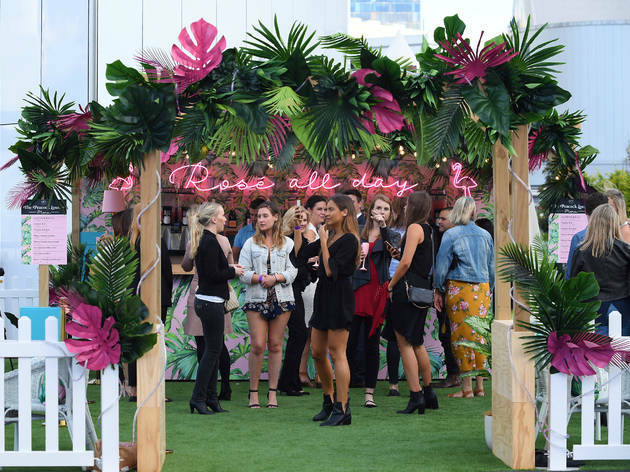 [Sponsored] A new, rosé-inspired bar is popping up at The Star’s rooftop Sky Terrace for the summer season. Because let’s be honest, nothing says summer like a refreshing pink glass of chilled rosé. 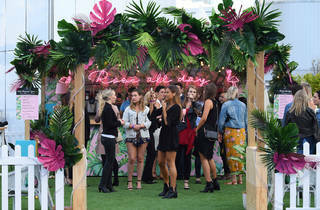 The Peacock Lounge is The Star’s bright young bar offering a fun drinks menu featuring Cape Mentelle, Moët & Chandon and Veuve Clicquot as well as Chandon rosé poptails and the frozen cocktail of the moment, frosé. Head up to the lounge between 5-7pm on Fridays for the frosé rosé happy hour – that means glasses of summer's best tipple for $10. While you're there, boogie down with the bar’s DJs, play croquet and giant Jenga or grab a bite to eat while watching the sunset over Sydney. This bar is like a summer fling: pretty, fun and for a limited time only. Catch the sky-high views at the Peacock Lounge while you can – it’s open Friday to Sunday until the end of March 2018.